DULLES, Va.Oct. 25, 2016-- Orbital ATK, Inc. (NYSE: OA), a global leader in aerospace and defense technologies, today announced that it has been awarded a contract by the National Aeronautics and Space Administration (NASA) to design and build Landsat 9, an advanced land surface mapping satellite to be operated by the United States Geological Survey (USGS). The Landsat 9 satellite will extend the Landsat program's record of global terrestrial imagery to half a century. Under the contract, Orbital ATK will design and manufacture the satellite, integrate the two government furnished instruments with the spacecraft and support launch, early orbit operations and on-orbit check-out of the observatory. Landsat 9 is scheduled for launch in December of 2020. Orbital ATK has a long history of supporting Landsat satellites including the success of the company-designed and built Landsat 8 satellite, which was launched in 2013 and is delivering high quality images in quantities exceeding mission requirements. The company was also responsible for the successful Landsat 4 and Landsat 5 satellites launched in 1982 and 1984. Orbital ATK is honored to have been selected to build the next Landsat satellite, said Steve Krein, Vice President of Science and Environmental Programs at Orbital ATK. Landsat represents over four decades of imagery, providing valuable data for agriculture, global change research, emergency response, and disaster relief. We re proud to build upon the success of our previous Landsat projects with the delivery of this new satellite. 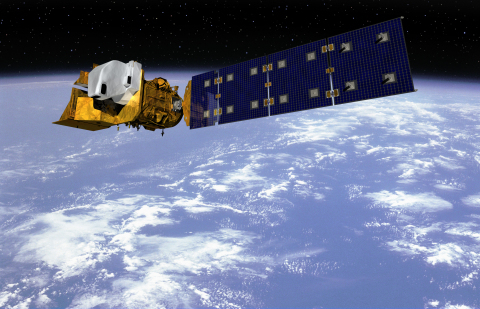 Landsat 9 is based on the company s LEOStar-3 platform, the medium-class low-Earth-orbit spacecraft successfully flown on Landsat 8 and NASA s Fermi and Swift Gamma-ray astrophysics observatories. This is also the platform under contract for the upcoming ICESat-2 Earth science satellite and the Joint Polar Satellite System (JPSS)-2 spacecraft. Landsat 9 will be designed, manufactured and tested by Orbital ATK s Space Systems Group at its facilities in Gilbert, Arizona, the same location and production team that executed the Landsat 8 program.